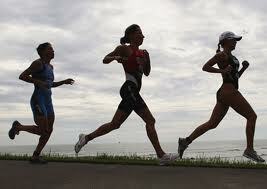 A triathlon consists of three events: swimming, cycling, and running. 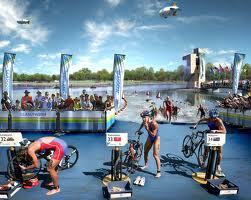 Triathletes will spend hundreds of hours training for these events, and rightly so. However, what takes place in between these three events requires necessary preparation as well. In between each event is what is referred to as a “triathlon transition” or simply “transition.” Each triathlon has two transitions: T1- swim to bike and T2-bike to run. Too many times triathletes are not fully prepared for these transitions and those that fall within this category are destined to be struggling for lost time and a lack of self-confidence during the race. 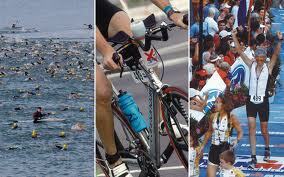 These triathlon transitions, many times, are chaotic as one struggle to go from one event to the other. One must be fully aware at all times and his or her timing must be on point. Only training and forethought in these areas will ensure that the triathlete makes the most of the triathlon transition. Make a transition checklist. Here are the necessities for race day transition: get body marked, sunscreen, skin protectant, goggles, swim cap optional: earplugs, wetsuit, gps watch), bike, bike helmet, bike shoes,appropriate and preferred fuel for the bike, water, make sure bike tires are pumped up (optional: gps watch, various fuel sources), race belt and number, run shoes, appropriate and preferred fuel for the run (optional: gps watch, hat/visor). Get to the race early to claim your spot and set up your area. Too many times athletes wait until the transition area is about to close before finalizing their checklist. Get in, go through your checklist 2-3 times to make sure everything is there. It would be no fun to be missing something in transition when you train hard for a race, to have a timing setback looking for something you forgot. When in transition be efficient. 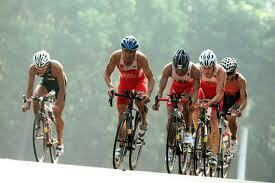 Get in and change appropriate triathlon gear, and get back out on the course ASAP. You're there to compete and race, not transition. Perfect practice makes perfect. Try to put in a little time practicing perfect transitions. This will make you more comfortable and confident on race day. Relax and Have Fun. By completing tips 1-4, it can allow you to relax and know you're prepared. When we are relaxed we turn in some of our best performances! You will get better with each and every race. Practice, patience and experience are very critical and of course these will take place over time. You will develop your personal transition checklist as you garner more experience. Find out what works best for you and what doesn’t. 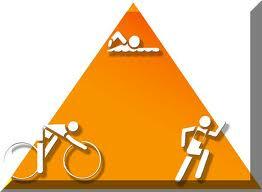 Remember, a crucial component of a triathlon is the time. Time placement is not merely based on how fast you can swim, bike, or run, but also a speedy and smoothed the transition. Approach your triathlon transition preparation with intelligence and motivation. 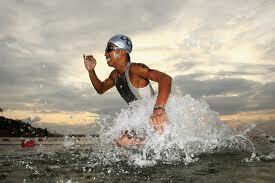 You can fulfill your potential as a triathlete, however, you must train in every facet of the race.